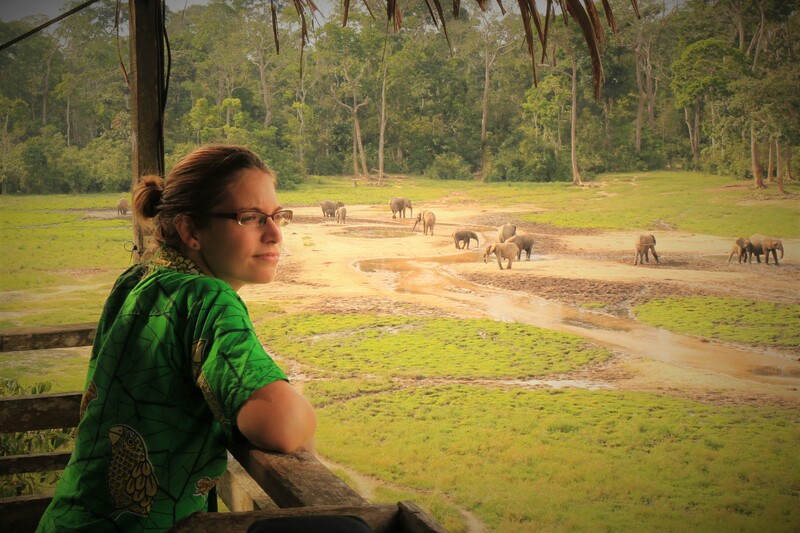 This is me just a month ago on my 32nd birthday, gazing out across the impressive Dzanga Bai at some 30 odd elephants splashing about contentedly in the mud. At the time I’d been waiting a week for my insurance company to arrange my repatriation home from the tiny town of Bayanga in the middle of the Central African rainforest, during which period I agonised constantly over whether the decision to abandon my work and return home had been the right one. I was worried I was being a hypochondriac, that I wasn’t exercising the kind of toughness necessary for my anthropological fieldwork, that I was giving up my last opportunity to get any really significant research done. As it turned out, I got out in just the nick of time – if I’d delayed even a few more days it could have been disastrous. In this, I consider myself to have been incredibly lucky. It’s an odd thing, to stare both good and bad luck in the face at the same time and to wonder very seriously which of the two is on your side. Over the past few years I’ve proved to be a bit of a medical enigma – I’m a short, non-smoking woman whose lungs sometimes mysteriously collapse; I’m a 32-year-old who’s just been diagnosed with advanced bowel cancer, a disease that doesn’t normally affect people under 50. With regards to both these conditions, the only explanation doctors have been able to give me for why I’ve ended up with them is “just bad luck”. And yet, at the same time I feel like I’ve been extraordinarily lucky – I seem to have an uncanny sense for when I need to get the hell out of whatever remote part of the world I’m in and on a plane home. Which means I’m still here, and I’m still fighting on. I’ve seen some extraordinary things and had some incredible adventures over the last 32 years I’ve been drifting about the planet, and on the way I appear to have made the most amazing friends in all the cosmos. I’m now reaching the end of my first chemo cycle. It was, thankfully, nowhere near as bad as I was expecting, but equally it’s just the beginning of a very long journey and I have no illusions that it isn’t going to be a tough slog whose ultimate outcome is also going to come down, at the end of the day, to a whole lot of luck. But whichsoever way that luck falls, in the meantime I intend to try and focus on whatever good fortune I find in the day-to-day as hard as I can. Sometimes, I know, that’ll be difficult to do. Sometimes I’ll feel abandoned by fortune and then in another breath I’ll feel like I’m wrapped in its arms. Because really, luck is just a narrative device that humans use to tell their stories, and I have a feeling I’ve got a whole load of stories in me yet.